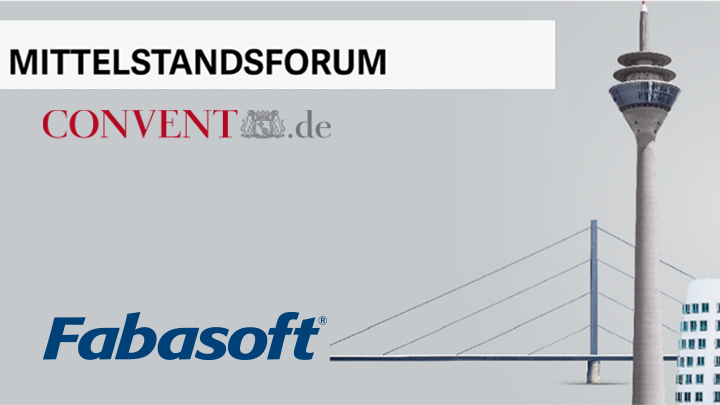 This year Fabasoft is again a partner of the Mittelstandstage, which are organised in Germany by the Convent Kongresse GmbH, a wholly owned subsidiary of ZEIT Verlagsgruppe. Over the past few years, these compact events have become a central information and communication platform for medium-sized businesses in Germany. Attendance of the Convent Mittelstandstage is free of charge. Owners, board members, CEOs and senior managers can benefit from a great number of forums and panels on current issues to hear about digitisation, financing, internationalisation or succession plans. The Mittelstandstage are a perfect platform for intensifying and extending relationships between businesses and various service providers such as consultants, IT companies, banks or financial institutions. Which digitisation measures are companies taking to improve their competitiveness? How does your company organise the exchange of sensitive data with your employees, business partners and customers? How can you and your employees securely access all business data necessary for your work on any device, allowing you to make binding statements at any time, without any loss of time, and in a competent manner? How much effort does your company put into adhering to compliance and governance requirements? All events will be held in German!